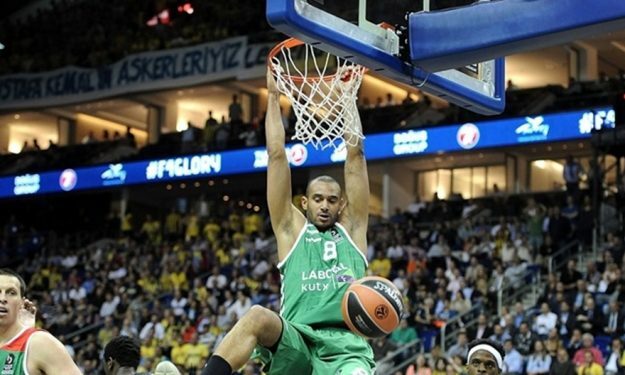 Adam Hanga has agreed to a €7.5 million (gross), three-year offer made by Barcelona, according to Eurohoops sources. This is a “vinculante” (binding) offer which means that Baskonia has to match every single term of the contract, down to the last detail, in order to keep the international Hungarian swingman in its roster. The deadline for the Basques expires in five days. If Baskonia doesn’t present an offer with precisely the same terms and conditions, then the “Best Defender” of the season in EuroLeague, will become a Barcelona player. Hanga was originally planning to make the jump to the NBA but following the signing of Rudy Gay, the chances of the San Antonio Spurs penning their 2011, 59th overall pick have become quite slim. Meanwhile, Barcelona was keeping an eye on the 28-year-old player and this interest was ultimately expressed in all formality with the aforementioned offer.